Poll: Is it time for Jeremy Clarkson to go? Has he gone too far this time? PREVIOUSLY LABELLED TOO big to fire, Jeremy Clarkson may have gone too far. The BBC has suspended the controversial presenter and cancelled the last three episodes of the current season of Top Gear. 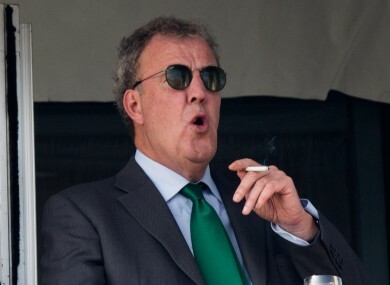 It comes after news broke of a ‘fracas’ between Clarkson and his Irish producer, supposedly over a catering issue. It’s not his first infraction as he has previously been accused of casual racism, using the n-word, provoking Argentines over the Falklands War, awful comments about Mexicans and a mock Nazi salute to name a few. Despite the indiscretions, Clarkson is loved by a huge audience. He brings in both the audience and the money for the Beeb. And, he himself doesn’t seem to bothered just yet. Will it be enough to save him? What do you think? Has he gone too far this time? In today’s poll, we ask: Is it time for Jeremy Clarkson to be taken off our screens? Email “Poll: Is it time for Jeremy Clarkson to go?”. Feedback on “Poll: Is it time for Jeremy Clarkson to go?”.